In other news, in case you missed it, Tally Hall posted a preview of all the songs off their forthcoming album HERE. 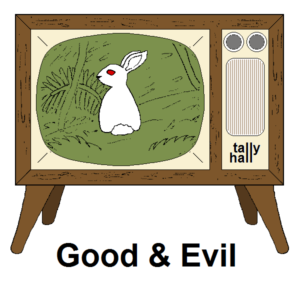 Last month hiddeninthesand.com held a contest for Tally Hall fans to create their vision of what Tally Hall’s cover art will be for their upcoming album “Good & Evil.” A winner was chosen by the fans and they’ll be receiving some awesome Tally Hall memorabilia signed by the band. But yesterday I was contacted by the band’s new manager, who enjoyed seeing all the entries. 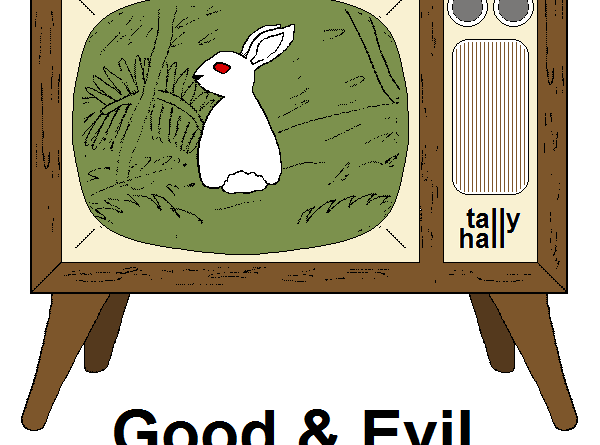 They’ve decided to choose one for the ACTUAL COVER of Good & Evil! The concept art entry chosen by the band and their management was submitted by Kristy C.! Now… they realize this is just a concept so they might elaborate on the art themselves or they might ask Kristy to make a polished version for them. I’m not sure. It’s out of my hands now. But Kristy… expect to hear from their management soon — and CONGRATULATIONS! I’m so glad this contest turned into a history-making moment for Tally Hall and its fans! ← Tally Hall: The Band That Was… Or Still Is?